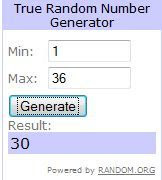 Winner of "Beautiful Skin Revealed"
Congratulations mrsshukra (comment #30) [Her mandatory entry is comment #27)], you have won a copy of the coffee table book “Beautiful Skin Revealed.” worth around $60. I have send you an email. Please respond immediately with your full name and address. A big THANK YOU to the few entrants who participated in this giveaway.If you didn't win this one, don't worry; another giveaway will be posted in a few moments; don't forget to try your luck in it! !